IPL Is Fine. 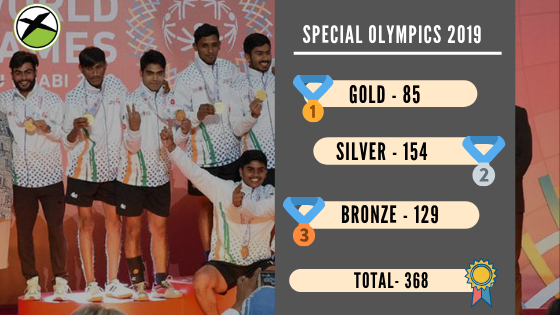 But Let’s Throw Some Light At India’s 368 – Medal Haul At Special Olympics! The Indian Premier League has begun and the entire sporting attention of the country has shifted to this glitzy tournament. But, the media forgot to throw light when our “Specially-abled” athletes scripted history at the Special Olympics 2019 which was held in UAE from March 14th to 21st. More than 7,000 athletes from 170 countries competed in 24 summer sports, along with 2,500 coaches and 20,000 volunteers. It was the first Special Olympics World Games to be hosted by the Middle East/North African region. The Indian contingent compromised of 284 members who made the country proud and returned with a whooping medal tally by clinching a record 85 gold, 154 silver and 129 bronze medals. The Indian athletes won medals across all sports – from athletics, golf, volleyball, aquatics, cycling, judo, powerlifting, table tennis, roller skating, badminton, basketball traditional, handball traditional, football 7-side female and other events like Judo and Futsal in which India participated for the first time and clinched 3 gold, 1 silver and 7 silver medals respectively during this prestigious event. Special Olympics is a sporting competition for people with intellectual and physical disabilities that was started by a woman named Eunice Shriver in the year 1968. The Special Olympic games have grown since then and the event celebrated it’s 50th-anniversary last year. About 5 million specially-abled athletes have competed in the Special Olympics over its history, coming from over 170 countries! With a vision of treating all athletes equally, the Special Olympics event offers a chance to individuals with not just physical but also intellectual disabilities to compete in any sport. The Special Olympics World Games are held every 2 years and after UAE successfully hosted it this year the baton will next be passed to Sweden who will host the competition in the year 2021. 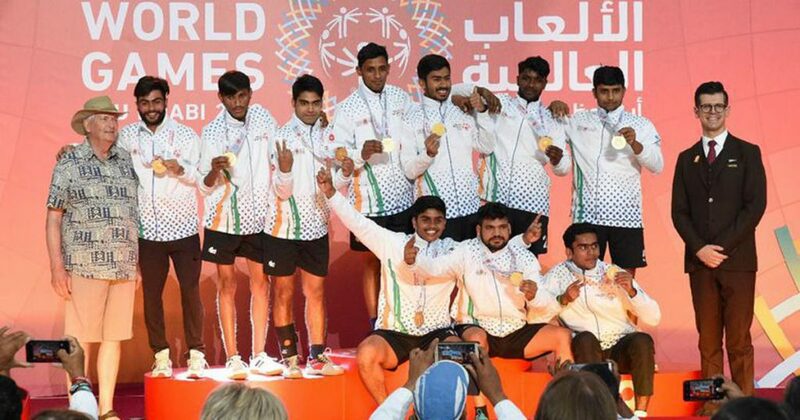 India participated in the Special Olympic World Games for the 9th time and delivered by far the best performance in Special Olympics by the Indian contingent. The athletes showed brilliant performance across all sports. Indian powerlifters bagged the maximum number of medals- 20 gold, 33 silver and 43 bronze while Roller Skating team earned India 49 medals – 13 gold, 20 silver and 16 bronze. In cycling, the Indians won 11 gold, 14 silver and 20 bronze to total 45 medals, while the country’s track and field athletes returned with 39 medals – 5 gold, 24 silver and 10 bronze. Overall the Indian athletes returned with 368 medals in total. The Special Olympics doesn’t maintain a medal tally and when this question was asked by journalists to Timothy Shriver, Chairman of Special Olympics International, he provided them with a beautiful answer. He said, “This is not about countries, it’s about people, it’s not about one nation defeating another nation…you just talk to the athletes, their message is simple, ‘I had a good time, I played, I trained, I competed, I won a medal.” That’s it”. “So, we don’t maintain a medals table,” he explained. Previous articleDid IPL Bloom The Fantasy Sports Ecosystem Of India? Follow Our Forum Discussions For A Chance To Win BIG! Next articleWhy Is The Cricket Fraternity Questioning The “Spirit Of Cricket” After Buttler’s Dismissal?